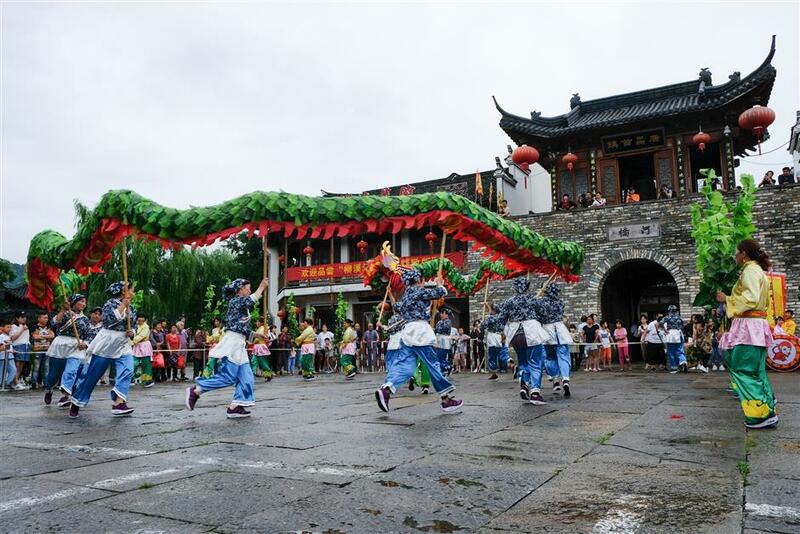 Heqiao sparked a celebration of its long cultural heritage when it kicked off its very first folk art festival last weekend in the ancient town. 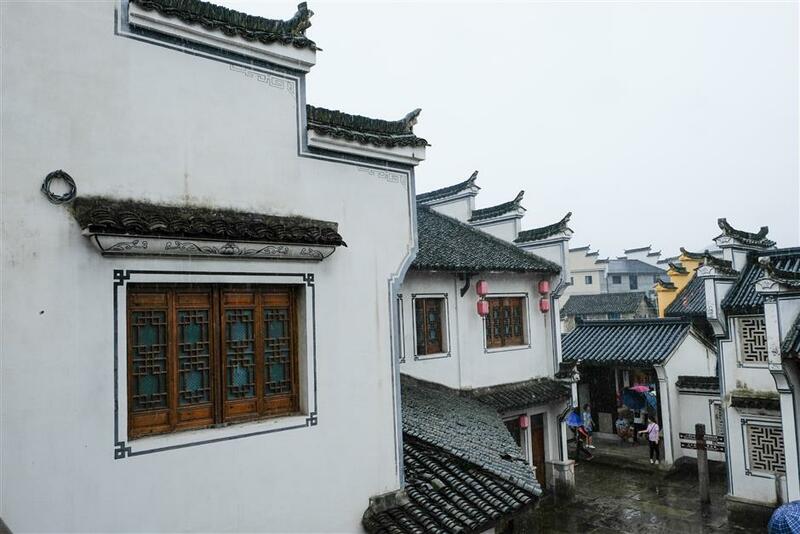 Heqiao, in west Hangzhou’s Lin’an District, has developed a deep, rich folk culture since the town developed over 1,300 years ago. 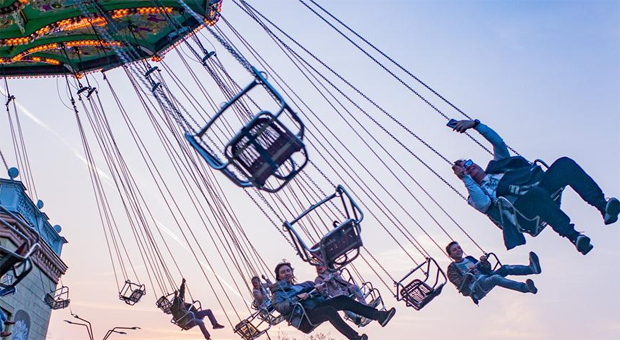 There are over 80 art troupes in the area that perform in times of festivity and the performances are always closely linked to local farming, transport and cultural activities. One such celebration, the Heqiao fish lantern dance, originated from the town’s fishermen and their worshipping rituals to the river god over 100 years ago. Prayers were always said before they set sail in dangerous waters in the hope they would return home safely to their families from fishing trips. 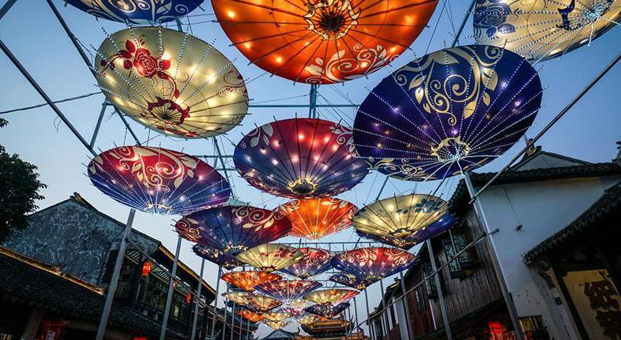 The Maxiao rolling lantern dance is even older than the fish lantern dance, with a history of 500 years. This ritual sees performers dress up in local costumes, each holding a drum-shaped lantern painted with patterns of the 12 zodiac animals. The lantern is between 1.2 and 2.7 meters tall and fixed with an external ring so performers may roll it via a handle. Both dances are included on county and provincial level cultural heritage lists. 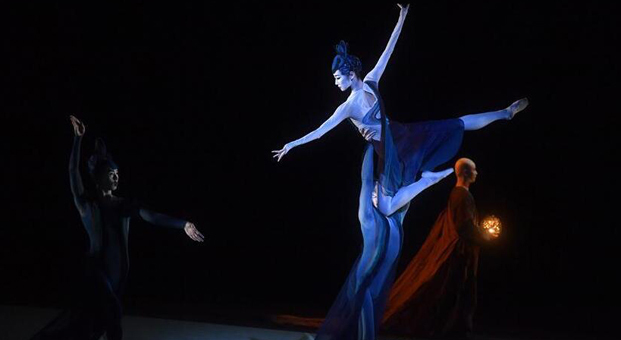 Academics believe the dances have been highly valuable to their researching of west Zhejiang folk traditions. Another interesting fact is that the Tangchang County government, currently known as Changhua, was once located in Heqiao in the mid-16th century, and a stone plaque inscribed with the “first town in Tangchang” still hangs on the town gate. The festival also serves local Heqiao food, including maci, a traditional snack made of glutinous rice, coated with crushed peanuts and sugar, and a special all-fish banquet with fish caught from the Liuxi River. Shanghai Daily had a wander down to the festival last weekend and highlights several places of interest to both history and culture buffs. Local folklore performances are staged in Heqiao ancient town every Saturday through June 16. 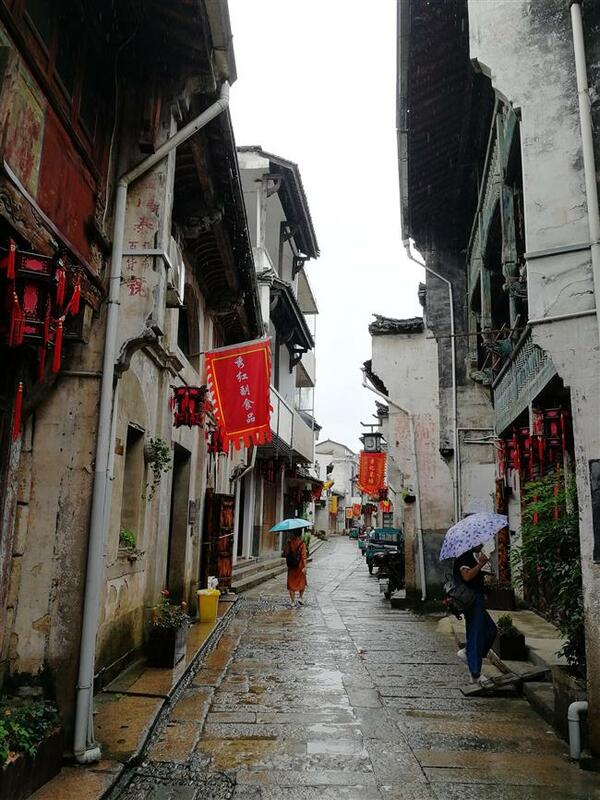 The Heqiao Old Street, flanked by traditional resident houses, extends over 1,500 meters along Liuxi River. It is paved with slate bricks and divided into upper, middle and lower parts. Over 100 Hui-style wooden structure buildings, from the Qing Dynasty (1644-1911), still stand there. 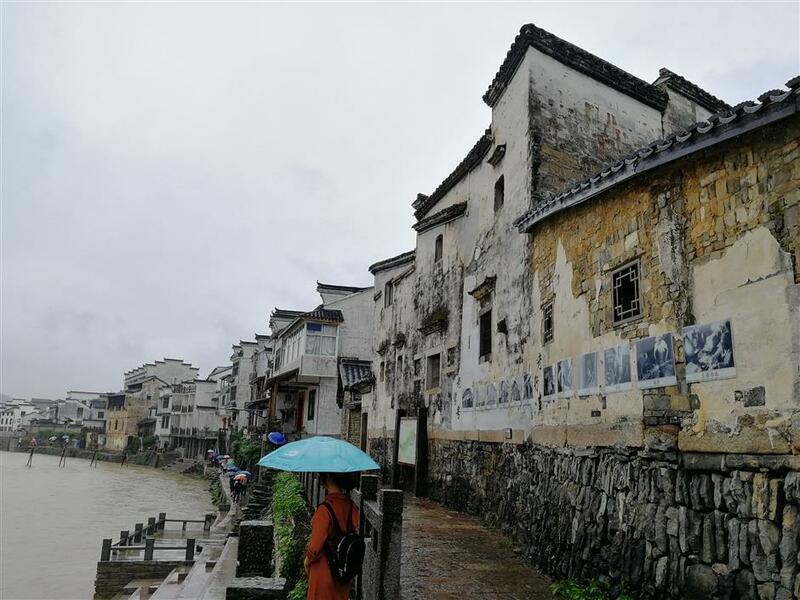 Words on the buildings’ walls illustrate their functions in the past: Zhenfeng was a cigarette shop, Huiyuan Hall sold traditional Chinese medicine, while Xu Yilong was a grocery store. Experienced boatmen from Wenzhou and Lishui cities, who had been running the business for generations, once monopolized the several bustling docks along the river and water transportation. They also owned a clubhouse in the street where guild members met to discuss important issues, while enjoying free meals and lodgings. Locals name the town’s Liuxi River as a woman’s river, thanks to legendary stories about a forthright woman who refused to be married to a man she did not love. Three flowing bodies of water, the Lan Stream, Jia Stream and Changhua Stream, meet at its upper stream, while the river bends on the downstream to form the famous “three gorges of west Zhejiang,” namely the Jiulong, Xianggong and Yutan. Visitors can enjoy kayaking along the 3-kilometer course of the river, while witnessing the breathtaking misty mountains that surround it. A speedboat cruise is also available. Xiangu Island is said to be the place where He Xiangu, a mythical figure of the Eight Immortals revered in Taoist traditions, rose to the ranks of genie. The town was among the last places seized by Japanese troops in the World War II. The Japanese held it until announcing a formal surrender on September 9, 1945. In the war museum, you can recover a lost history still unknown to many today. 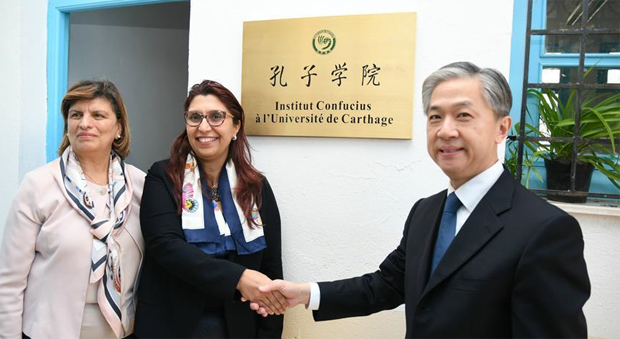 During the war, Dai Li, head of the Kuomingtang government’s military intelligence service, set up a secretive Sino-US collaborative institution, to train women agents in the field of combat against the Japanese. Other memorial sites include a monument for the oath-taking ceremony of the war, a historical site of the former Sino-US collaborative hospital and the mausoleum of Qian Xiangjun, who died in the war.